It won’t come as any surprise that uncertainty, complexity and volatility in the global economy, US-China trade and Brexit, along with rapidly changing consumption patterns, are pushing the global apparel industry and its supply chain into unchartered territory in the year ahead. But according to feedback from a panel of executives consulted by just-style, disruptions also present huge opportunities for retailers and brands to rethink their business models and explore new ways of working – especially when it comes to using new technologies and data. We asked industry executives what keeps them awake at night – and other issues the apparel sector should be keeping a close eye on in the year ahead. 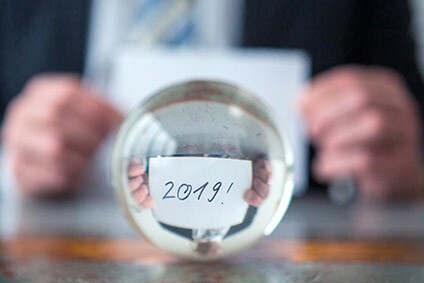 Not surprisingly, increased levels of uncertainty and ambiguity are top of the agenda for many, with the real winners in 2019 and beyond likely to be those industry leaders (and companies) who are willing to evolve and adapt to rapidly changing consumer needs, and emerging opportunities. What should apparel firms be doing now if they want to remain competitive into the future? And what will separate the winners from the losers? The experts we consulted are almost unanimous in their belief that speed, innovation and adopting new technologies fit for the digital age are the key ingredients to help transform operations and the overall supply chain. How is the sourcing landscape likely to shift in 2019, and what strategies can help apparel firms and their suppliers to stay ahead? As new barriers, trade tensions, and the need for speed continue to weigh on the apparel business, fashion companies need to develop contingency plans. Shifting some sourcing away from China, supplier consolidation, new investments closer to home, and the shrewd used of data and advanced analytics are some of the tactics executives recommend.